Grand Rapids is known for a lot of things: good beer, a spectacular downtown arts festival and great fishing on area rivers, among other things. But, what isn’t known is that West Michigan mountain bikers are turning the region into a mountain biking haven. A mountain biking group, called West Michigan Mountain Biking Alliance, is responsible for that growth. Its members are out building trails. My latest story for the city of Grand Rapids blog, called Experience GR, lays out what area riders are doing for other riders on their own accord and with financial help from local foundations and businesses. Eleven mountain biking trails totaling 60 miles have been built so far. 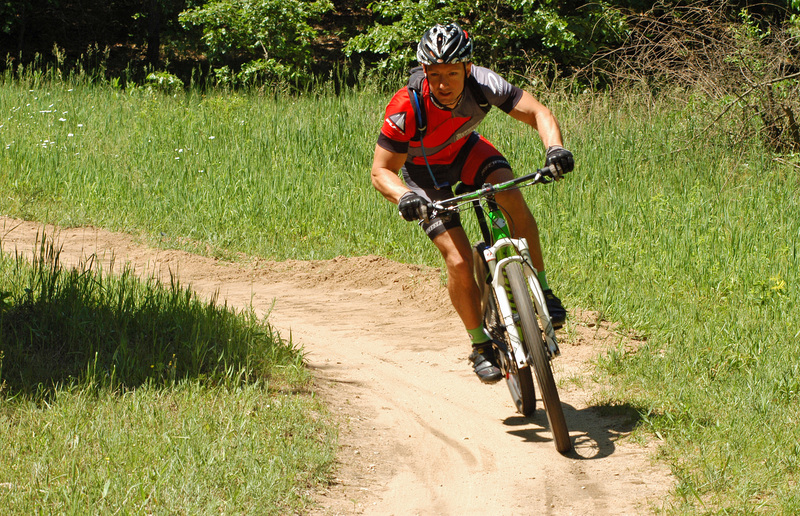 Read more at: West Michigan Mountain Biking Alliance: 60 Miles of Local Trails, From Riders For Riders. This entry was posted in Uncategorized and tagged bicycles, Cycling, Grand Rapids Michigan, Luton Park, Mountain Biking, West Michigan Mountain Biking Alliance. Bookmark the permalink.